Empire Commercial Finance has appointed Martin Johnson as senior commercial director and Scott Monks as international corporate director. Martin has worked within the North West for over 25 years as a bank manager, looking after large complex businesses. Matt Davies, founder and managing director at Empire Commercial Finance, said that Empire was proud to further expand its team as it increased its focus on providing a first-in-class service to its clients. “Martin has a real strong work ethic and I’m really looking forward to him helping me grow our business,” said Matt. Martin added: “I have known Matt for over 10 years, having previously worked with him at RBS —during that time we had a great working relationship. “I’m relishing the new challenge to work alongside Matt and the rest of his team to provide world-class lending solutions to UK SMEs. Scott brings with him 15 years of banking experience, which Matt said would add further expertise as Empire continued to expand its horizons. “Scott is highly experienced in managing client’s complex financial requirements and will be a valuable addition to the Empire team,” said Matt. 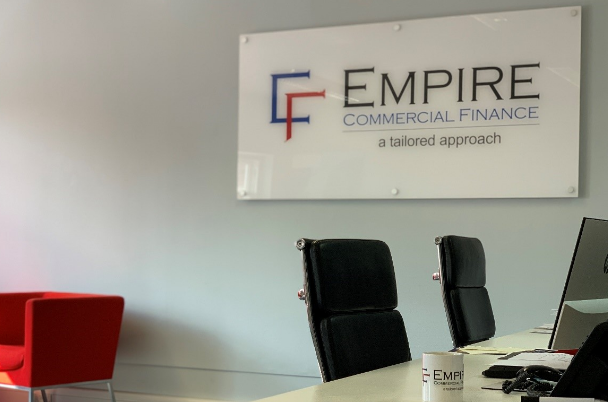 Scott added: “I am delighted to be taking up the opportunity to support the continued growth of Empire Commercial Finance as [it] broadens [its] already first-class offering.